I love wine. I can’t say that I have any one bottle that I most adore. I also like experiment. However, typically I stick to specific regions (some of my go-to’s or Italy, Spain, and Australia). And to be honest sometimes, pretty labels also catches my attention! Here are three wines I’ve recently tried at varying price points that would be a great fit for your next late summer evening soiree. 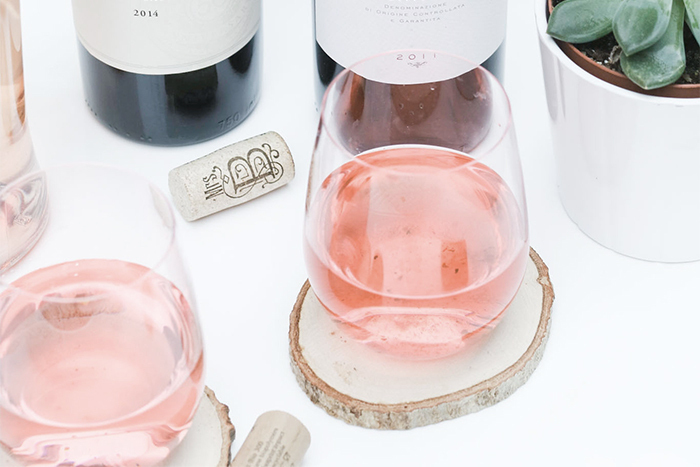 Rosé is quite popular during the hotter months, but are certainly not only reserved for the Summer. They are equally as refreshing and appealing all year round. I was recently gifted a bottle of Rosé from France that I thoroughly and it inspired me to give a few others a try. BY.OTT is an extension to the Domaines Ott* family of wines originating from Provence, France. This Rosé exhibits a pretty and translucent pink colour. And in terms of notes, it is fruity with hints of white peach, apricot, passion fruit and mango. I think it is extremely suitable for the Fall season, it is delicately infused with sweet spices of cinnamon and cardamom. I really enjoy this selection, as it is fresh, crisp, and clean. It is perfect paired with a light salad, fish and seafood dishes. 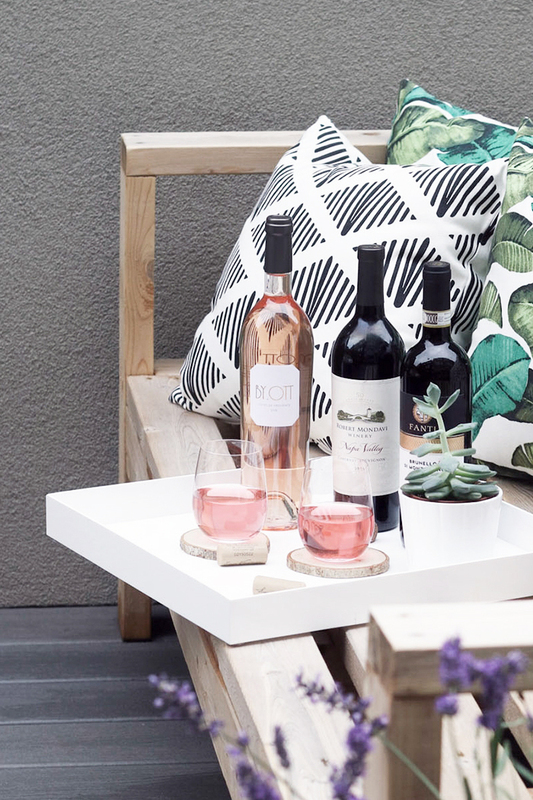 For under $30, the BY.OTT is a great choice for easy terrace entertaining. To me, red wines always go hand in hand with classiness and relaxation. I don’t generally reach for Cabernet Sauvignon at the wine shop but the late Robert Mondavi is considered as the godfather of California wine country, so I had to give this one a try. If you’re like me and enjoy a bold and full bodied wine that will leave you feeling warm and cozy, this 2014 Cabernet Sauvignon is a great choice. The tasting note is a combination of black cherry, plum, and blueberry with a dose of sweet spice, herbs, and a hint of tobacco. It is fabulous paired with meats and cheeses or a pasta dish for a casual yet sophisticated evening with friends. This bottle, under $40, is an approachable option if you’re interested in trying Robert Mondavi as it is the lowest price of the existing range of Robert Mondavi Cabernet Sauvignons. On celebratory occasions or when I’m in the mood to really impress, I like to pick up something extra special, and that means I typically reach for an Italian Red, but that’s just my preference! The FANTI Estate has been around since the early 1800’s and has always been known for the production of wine, extra-virgin oil and cereals. Currently still ran as a family business, the FANTI produces a number of famous wine products. This Brunello is medium bodied and with rich fruity notes of plum, dried fruit, spice, mushroom and chocolate. I found this combination both unexpected and intriguing. Paired with a finely seasoned steak for a special celebration will have your guests requesting for more! Selecting a wine next get together can be quite overwhelming. I generally start with deciding on a price point, then what type of food I may serve. It’s always fun to experiment, so don’t be afraid to do so! I hope these three selections have inspired you to give them a try. 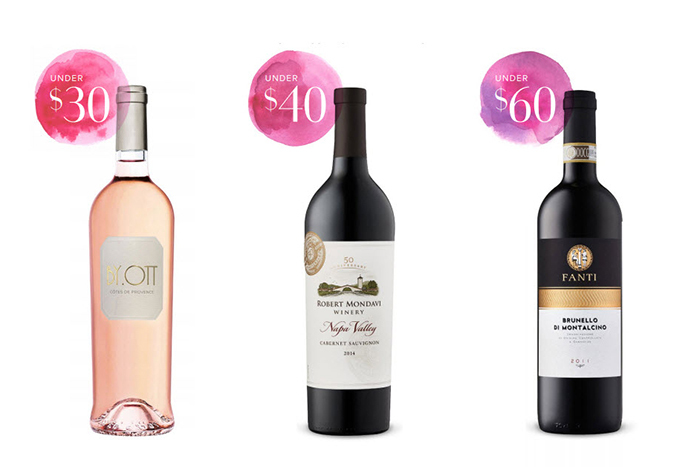 Would love to hear what your most recommended wine is, leave a comment below! Disclaimer: This article was produced for the Tridel Auberge on the Park Magazine. You can view the full issue here.